Gripping screenplay. You won’t find a moment when the movie goes out of rhythm. Wonderful direction of Nitesh Tiwari takes the credit for sound cinema like Dangal. Hummable music by Pritam. Songs of Dangal became popular even before the release of the movie. I really enjoyed Haanikark Bapu, Dhakkad and Gilehriyan. Dangal speaks volumes about training sessions the actors must have gone through. Weight transformation by Aamir Khan. Wrestling bouts of Sana Sheikh. Everything is done to perfection. 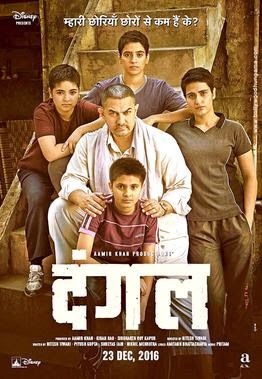 In short, we need meaningful cinema like Dangal to promote sports culture in India. To shrink gender differences. To motivate our youth to channelise their energy towards prestigious achievements. Next Do you know the Meaning of the Numbers on a PAN Card!